After what seems like many weeks of hard work to get ready for it, with printing flyers, microblogging about it all over Twitter and Instagram, and - this morning's task in just a second - blowing up balloons, I'm very nearly ready to throw open the doors of the Let Fire Inspire workshop for Lewes Artwave! Watch me in action at the torch flame, have a look at beads and jewellery for sale. It's free to visit, and browsers and spectators are very welcome! 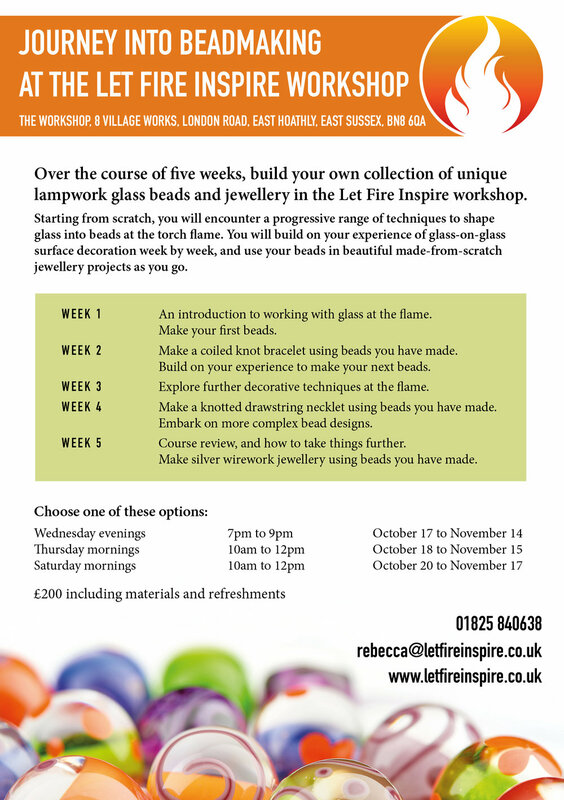 The Let Fire Inspire workshop is number 35 on the Artwave rural trail - look out for the signs! It's right in the centre of East Hoathly village. There are two other Artwave venues close by which are also well worth a visit - do check out the work of Peter Cuthbertson at Paine's Farm Pottery here in the village, and David Armitage, Chris Mansell and Abi Myers who are showing their work across two large studios at The Quadrangle just outside East Hoathly.